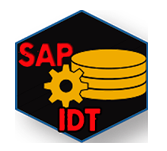 What do you understand by the term SAP IDT? The SAP BusinessObjects Metadata design environment which facilitates to extract, define and manipulate the metadata from the relational and OLAP sources which is used to create and deploy SAP BusinessObjects is termed as SAP Information Design Tool or SAP IDT. The tutorial mainly covers the basic concepts of SAP IDT and its various modules and sub-modules. What are the prerequisites required and who are the audience for learning the concept of SAPIDT? Good knowledge and understanding of the SQL system and the relational databases is essential for understanding the concept of SAP IDT. Also knowledge and understanding of the concept of OLAP database management enables to better understand the concept. This tutorial is mainly targeted for the professionals who want to learn the concepts and basics of the SAP Information Design Tool (IDT) and who want to implement the concept in creation and deployment of SAP BusinessObjects universes.